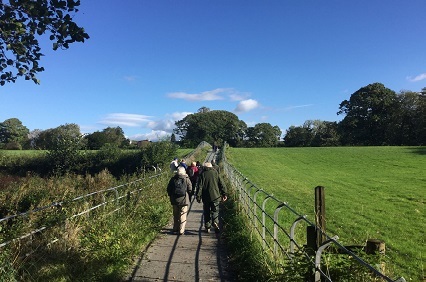 Join us for an easy guided walk aimed at people living with dementia and their carers and discover the beautiful landscape, wildlife and culture of the area with our friendly group. The walk will last no more than an hour and afterwards, there will be the chance for a chat and a cuppa in one of the local cafes. This week we will be meeting at 10am outside the Albion, The Promenade, Arnside LA5 0HA. There is no need to book – just turn up! For further information, contact the project leader Feleena Taylor on 07474588585 or the AONB Partnership on 01524761034.